Founded in 1885 to “promote mental, moral, physical and social welfare,” the Evanston YMCA remains true to the spirit of that mission today, although we have expanded to serve everyone in our diverse community. The Evanston YMCA was renamed the McGaw YMCA in 1984 in appreciation of a major gift from the Foster McGaw family. With about 12,000 members, we serve an estimated 20,000 people in our community each year. 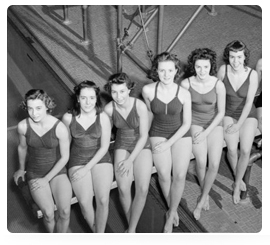 View a detailed history of the Evanston YMCA over the past 133 years. Produced by the McGaw YMCA and filmmaker Susan Hope Engel, this film honors the unforgettable legacy of the Emerson Street Branch YMCA, an anchor for the social and civic life of Evanston’s Black community between 1909 and 1969. Through photos and oral histories, the film chronicles Emerson’s sixty-year influence still resonating in the lives and hearts of those who lived it, and for those who benefit from the life lessons passed on today. Produced by the McGaw YMCA and filmmaker Susan Hope Engel in celebration of our 125th Anniversary, this film offers a look back at the people, the programs, and the impact of the YMCA in Evanston. Highlights include growing up at the Y, the Emerson Street YMCA Branch, Project SOAR, the Men’s Residence program, Brillianteen, Indian Guides/Princesses, and Camp Echo.